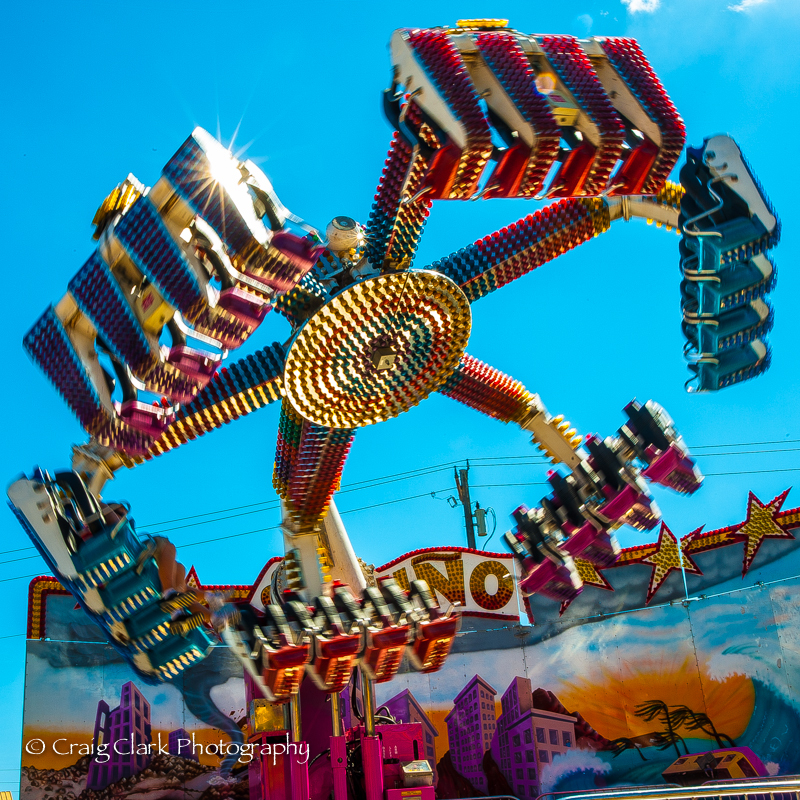 Discover the Light Photography will be presenting an evening workshop at the Big One, the Oregon State Fair, August 27th. Join us Tuesday evening at fair to explore the wonderful world of lights and motion! 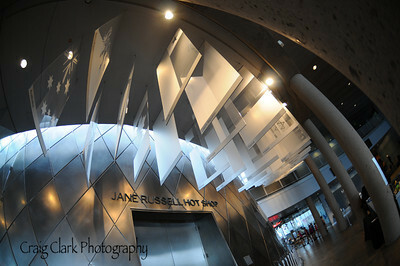 Get there early and try capturing some of the daytime sights and actions. 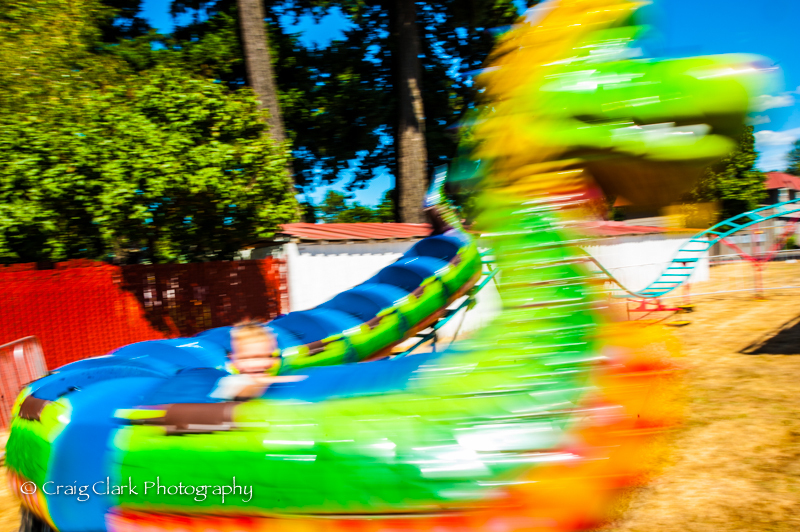 Here’s a couple pics from the Clackamas County Fair to inspire you to get out and explore the Fair. 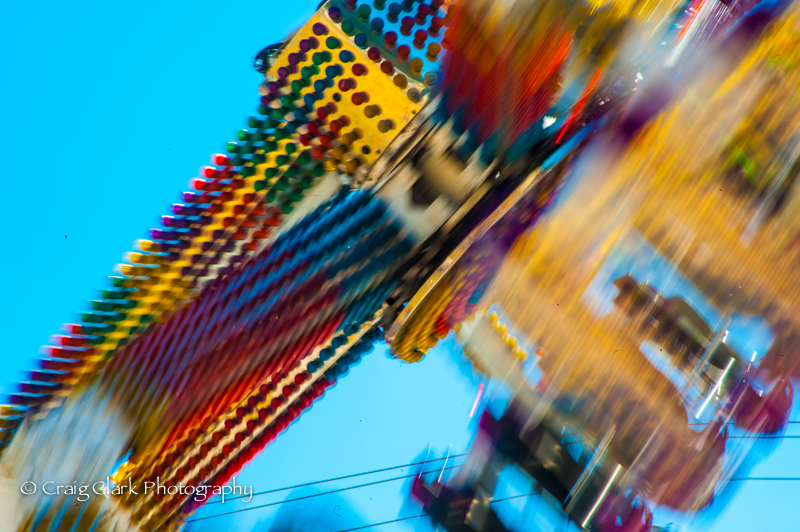 By using a small aperture (f22) I was able to capture a nice starburst and some movement on this ride. Timing & the choice of an low angle help enhance the colors and elements of motion in this shot. For this shot I chose an offset angle to highlight the height of the ride. Even the children’s rides can present some interesting motion opportunities! 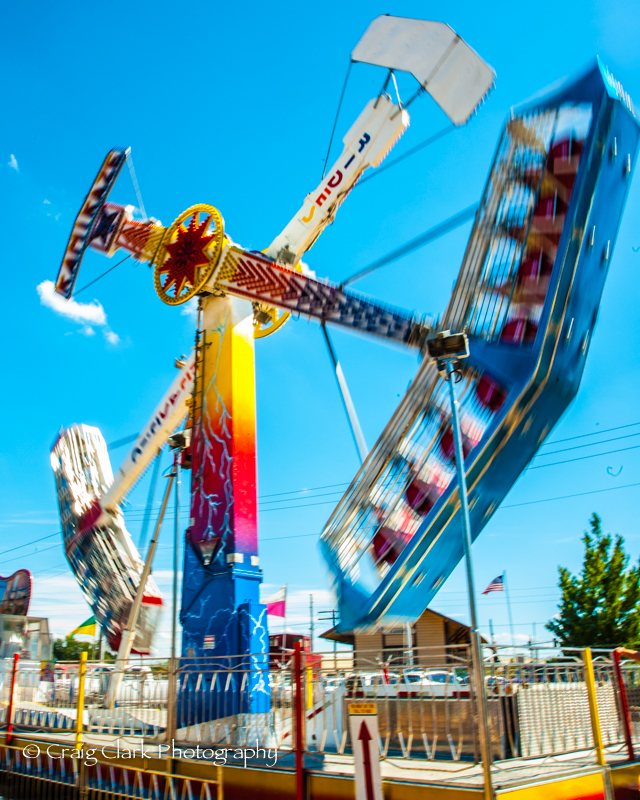 Sign up now and join Discover the Light Photography for an evening of Summer Amusement at the Oregon State Fair!